Stomach cancer starts with the formation of cancerous cells in the inner lining of stomach and these cells then grow into a tumour. This disease grows slowly and takes years to spread. Being aware and cautious of the signs and the symptoms of stomach cancer and diagnosis of the disease at the right time can help a person to prevent it. The post here contains information on stomach cancer awareness, stages prognosis, causes, risk factors, diet, symptoms, prevention and screening methods. Stomach cancer rarely shows any noticeable symptoms at an early stage. Some vague symptoms can be indigestion, loss of appetite and burning sensation in the stomach. As the cancer advances patient can experience fatigue, bloating of stomach after meals, weakness, constipation or occasional vomiting. Adenocarcinoma: It is the most common type of stomach cancer which accounts for 95% of stomach cancers. Carcinoid: Hormone producing cells can cause this cancer and is very rarely found in stomach. Gastrointestinal Stromal Tumor (GIST): The epicenter of this cancer is specific nervous system cells found in the stomach. There are four stages in stomach cancer. Stage 1A: The cancer may have spread into layer of tissue next to stomach wall. Stage 1B: The cancer may have spread into layer of tissue next to stomach wall and in nearby lymph nodes. Stage 2: The cancer may have spread into the layer between the muscles and the internal membrane of stomach wall and is found in 3 to 6 lymph nodes. Stage 3: The cancer may have spread to nearby organs such as spleen, kidney, diaphragm etc. and has its presence more than 7 lymph nodes. Stage 4: The cancer has spread to distant parts of the body and cure at this stage is rarely possible. A study of survival statistics of people in similar conditions shows people who have survived at least 5 years after their cancer diagnosis were facing following stages of the cancer. The doctor may remove a part of the stomach or the infected tissues surrounding by. If the cancer has advanced he may remove the whole stomach. These drugs don't allow the cancer cells from growing and kills them. You may take this orally or through an IV in hospitals. It is a mix of radiation (high energy waves) and chemo, which is often done before surgery to shrink the size of tumor. These drugs target only cancer cells unlike chemo and radiation which harm healthier cells also. Many drugs such as Trastuzumab (Herceptin) is approved against stomach cancer. 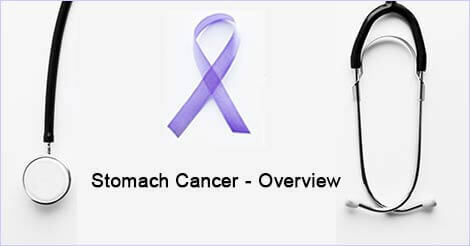 Stomach cancer is common worldwide. Its initial symptoms are generally confused with less serious diseases and hence, the cancer is detected in much later stages. 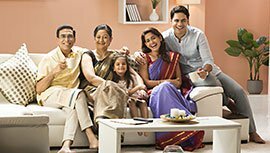 However, many healthcare providers like Indus Health Plus offer preventive health checkup packages which analyze your health in a much detailed way. Any infection or disease is picked up easily through such routine checks. To know more about the packages and screening, get in touch with us by filling the form.